3/28/2017Share this story on Facebook! An artist who enjoys exploring complications, challenges, fluidity, and composure through movement, Audrey Casinelli '17, pushes herself to grow her vocabulary of movement. She dances what she feels, and she feels what she dances. Also pictured is Jose Useche ’17. Reuben Foley ’18 on violin, Abrey Feliccia ’18 on bass, and Molly DeLorenzo ’18, on cello, perform. 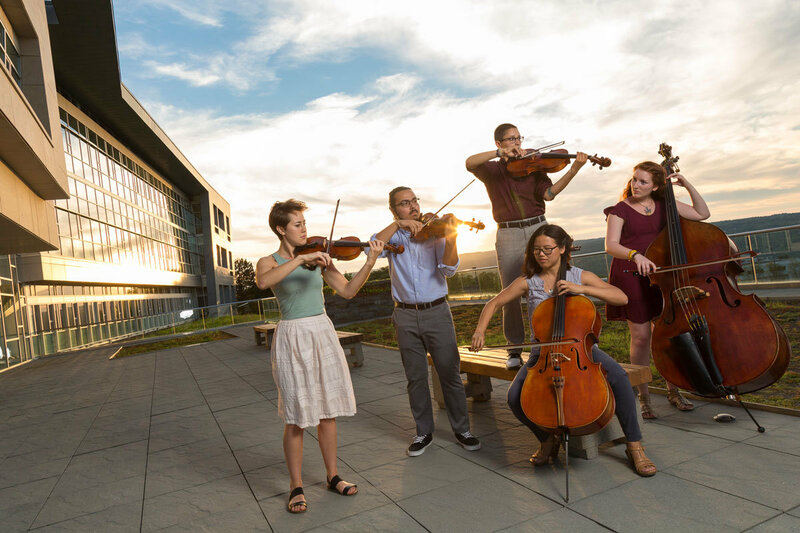 Also pictured are Mary Jurek ’18 on violin and Carter Kohler ’18 on viola. 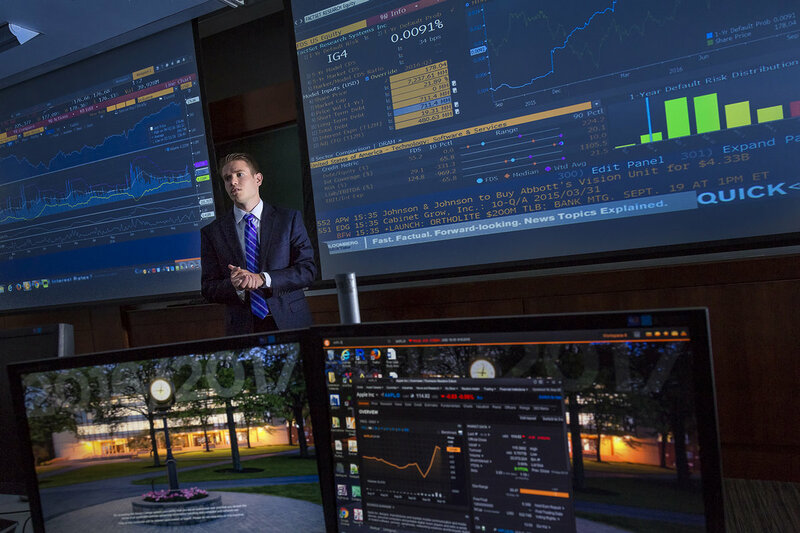 Initially intimidated by the trading room, John Allred '17, soon became involved with the Core Trading Consultants, an entirely student-run organization that handles a stock portfolio. For him that involvement has been about two things: fine-tuning his skills in the trading room and helping others do the same.